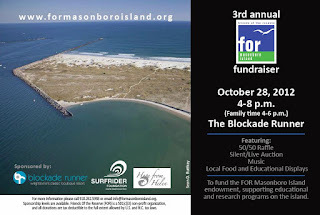 The 3rd Annual Friends of the Reserve (FOR) Masonboro Island Fundraiser event is coming up on Sunday, October 28, 2012 at the Blockade Runner Resort on Wrightsville Beach beginning at 4pm. The event kicks off with a family-fun afternoon of educational events followed by an evening filled with great food, music, and silent and live auctions. Abundant seafood prepped by the award-winning BRBR culinary team will be served. Brazilian guitarist, Rafael, Whitney Pearsall and the Dylan Holton Band entertain. Kids events this year will be from 4-6 p.m and include interactive events from the North Carolina Aquarium at Fort Fisher, T-shirt painting led by local artist and Wrightsville Beach School marine science instructor Cissie Brooks and a Halloween costume contest. Ticket are $25 per person (advanced) / $30 (at the door). Kids under 12 are free. 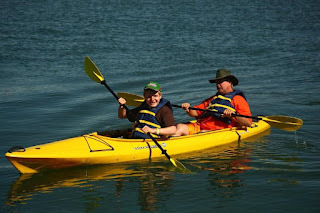 Proceeds from ticket sales, auction bids, and raffle chances are donated to the North Carolina Coastal Reserve, the island’s steward, for education, conservation and research. 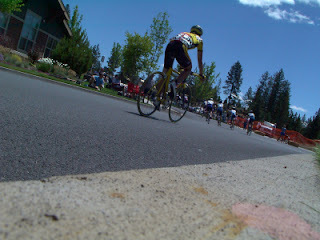 There are still sponsorship opportunities available for this event. Please contact info@formasonboroisland.org with any questions. 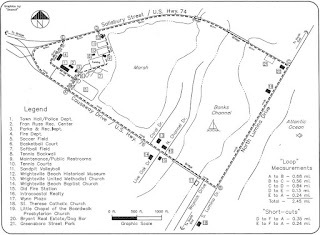 For more information, please visit formasonboroisland.org. 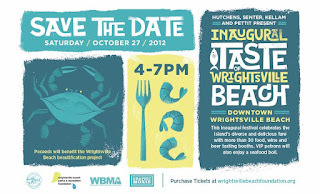 The Inaugural Taste of Wrightsville Beach food, wine, and beer tasting event will be held in Downtown Wrightsville Beach on Saturday, October 27, 2012 from 4 until 7pm. 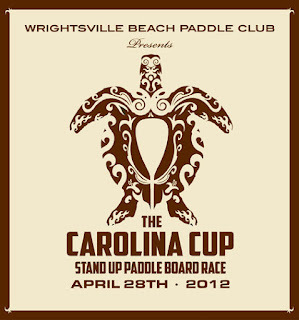 Proceeds from the event will benefit the Wrightsville Beach Beautification Project. The Taste of Wrightsville Beach Festival festival will celebrate the island’s diverse and delicious fare on and around the beach with over 30 food, wine and beer tasting booths. 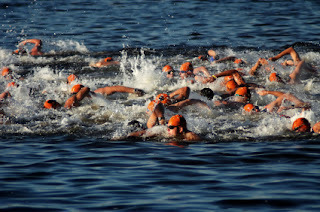 VIP participants will also enjoy an old fashion seafood boil or bucket of oysters. Celebrity judges will rate the dishes with a “Best in Show” and participants will select the “People’s Choice” award. Live music by Wrightsville Beach's own Hali Esinhart, guitarist and the South Hammock Bluegrass Band. Tickets are $40 for General Admission in advance through Oct. 25 at midnight ($50 day of event) or $75 for VIP Tickets. The ticket cost includes admission to the event and one tasting of each food, beer and wine vendor. This is an event not to missed! Come eat, celebrate, and join your fellow Wrightsville Beach foodies for this fun and unforgettable event. Anyone who thinks there's nothing to do in a coastal town in the off-season obviously never spent the fall in Wrightsville Beach! In addition to offering a variety of special events, fall is a great time to visit WB, as hotel rates are typically lower and the crowds are fewer. One of the most well-loved fall events on the island is the annual Cape Fear Kite Festival, where flyers from far and wide come together to paint the sky! 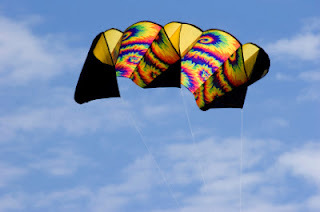 At this year's Cape Fear Kite Festival, young and old can experience the fun of kite flying while enjoying the favorable fall weather on Wrightsville Beach. The event will take place in front of Shell Island Resort on November 3rd and 4th, 2012 and will feature an outstanding variety of kites. From simple to elaborate, you may see anything from giant butterflies to flying squid! It's certainly not your ordinary day at the beach. Lodging: If you need a hotel room, Shell Island Resort is apparently holding a block of rooms at a special rate for CFKF travelers. According to the CFKF Facebook page, the person to ask for is Michael and you should mention you are coming in for the festival. If, for some reason, Shell Island books up - don't worry! 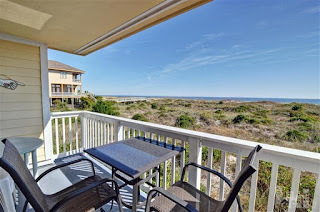 There are plenty of great places to stay in Wrightsville Beach! 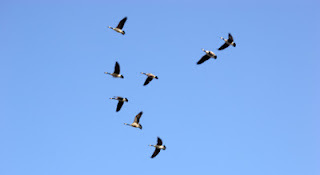 What to bring (other than your kite, of course): Although November typically offers great conditions for kite flying, you'll probably want to bring a sweater or jacket as the coastal winds can be a bit chilly. 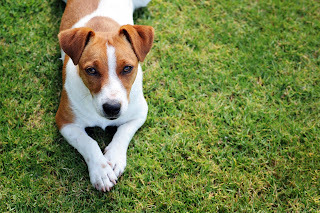 Also don't forget to pack your camera (and battery charger!) so you can capture some awesome kite-flying shots! To learn more, visit the Cape Fear Kite Festival Facebook Page. 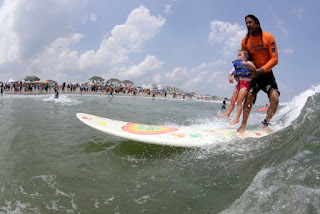 Wrightsville Beach, N.C. -- One of the world's 20 best surf towns (National Geographic, 2012) will host Surf Gala 2012 and Surfers Healing, an international surf camp for children with autism, Aug. 19-20. Diners will have the opportunity to meet, greet and eat with Izzy Paskowitz, Surfers Healing founder, and his ohana (family) of legendary Hawaiian surfers. Advance copies of Izzy's memoir "Scratching the Horizon" will be signed and provided to each guest. All income from this special evening will be used to pay for the cost of the Surfers Healing surf camp for children with autism at Wrightsville. 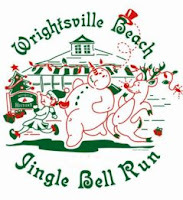 This event takes place at the popular Stone Street Public Beach Access located in the heart of downtown Wrightsville from 9 a.m. to 3:30 p.m. Spectators are welcome to "cheer" the children. Surfers Healing was founded in California by professional surfer Israel "Izzy" Paskowitz for his son, Isaiah, who was diagnosed with autism at age 3. Because Izzy discovered the positive impact surfing had on his son, he shared this unique therapy with other children diagnosed with autism. 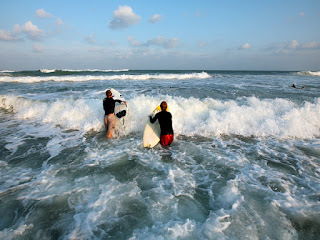 Wrightsville Beach, N.C. was recently named to the National Geographic list of the Top 20 World's Best Surf Towns. Wrightsville Beach stands out among surf towns of the world because of it's inviting, easy going attitude and access to great surf. 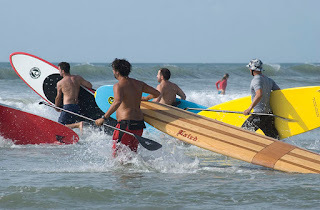 The article features an interview with Surf City Surf Shop owner, Mike Barden, and mentions some other fun and unique things to do in Wrightsville Beach including stand-up paddleboarding in the Harbor Island Outer Loop as well as charter fishing trips. We already know that we have the best beach town in the world, a friendly community, great surf, and awesome local businesses and activities. But we just love the recognition from National Geographic! You can read the article here: World's Best Surf Towns - National Geographic. 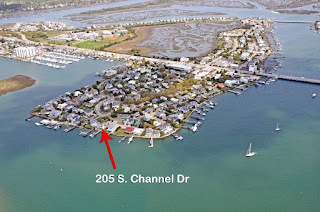 A 50' x 100' buildable lot, second row from the ocean, is reduced to sell on the south end of Wrightsville Beach, N.C. Hardee Hunt and Williams real estate company is representing the sale of the lot, MLS# 467426, and has it listed at $795,000. 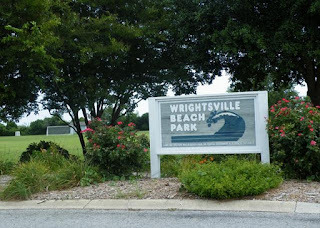 Wrightsville Beach, N.C., July 2012 -- Hardee Hunt and Williams real estate company is representing the sale of a buildable lot in Wrightsville Beach, N.C. listed at MLS# 467426. 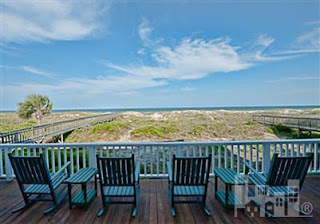 This 50' x 100' lot is second row from the ocean on the coveted south end of Wrightsville Beach. Gorgeous ocean views and convenient beach access are the highlights of this land for sale. The 50' X 100' buildable lot at 834 S. Lumina Avenue is reduced to sell on the highly sought after quiet stretch of South Lumina Avenue. 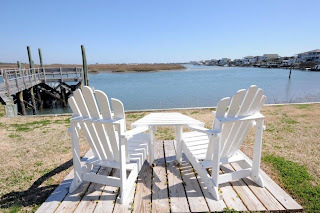 This second row lot will provide excellent ocean views and convenient ocean beach access for all the activities and enjoyments that the south end of Wrightsville Beach has to offer including excellent fishing from the rock jetty and inlet and dining on the pier from the Oceanic Restaurant. In addition to the easy ocean beach access, this lot for sale also features sound side public access just steps away for low current swimming, kayaking, and stand-up paddleboarding. 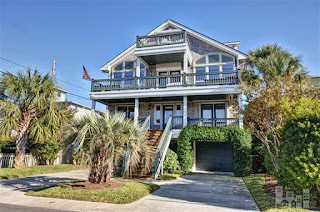 Hardee Hunt and Williams is a boutique Wrightsville Beach real estate company dedicated to matching buyers and sellers of premier Wrighstville Beach property. 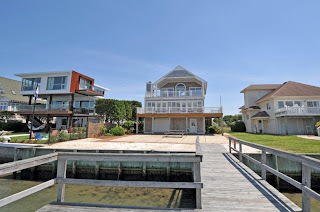 Agents Jim Hardee, Ronnie Hunt, Randy Williams, and Ace Cofer have extensive experience with real estate in Wrightsville Beach, Landfall, and Figure Eight Island including waterfront homes, investment properties, condos, and land for sale. 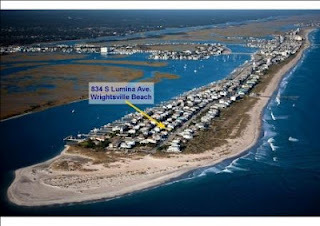 To learn more about the lot for sale at 834 S. Lumina Avenue in Wrightsville Beach, please visit http://www.834sluminaavenue.com/. 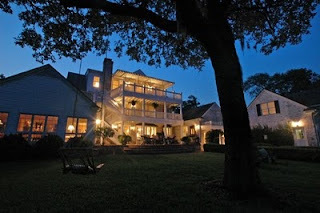 To learn more about Hardee Hunt and Williams real estate company, please visit http://www.hardeehuntandwilliams.com/. 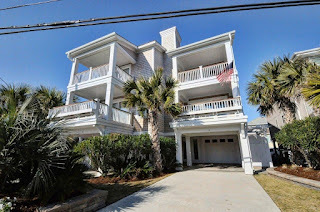 126 Driftwood Court for Sale at the Channel Walk Condos in Wrightsville Beach, N.C.
Hardee Hunt and Williams real estate company has listed for sale the 3 bedroom, 2 bath town home at 126 Driftwood Court at the Channel Walk waterfront condos in Wrightsville Beach, North Carolina. Wrightsville Beach, N.C., April 2012 -- A waterfront condominium unit in Wrightsville Beach was recently listed in the MLS by Hardee Hunt and Williams real estate company. 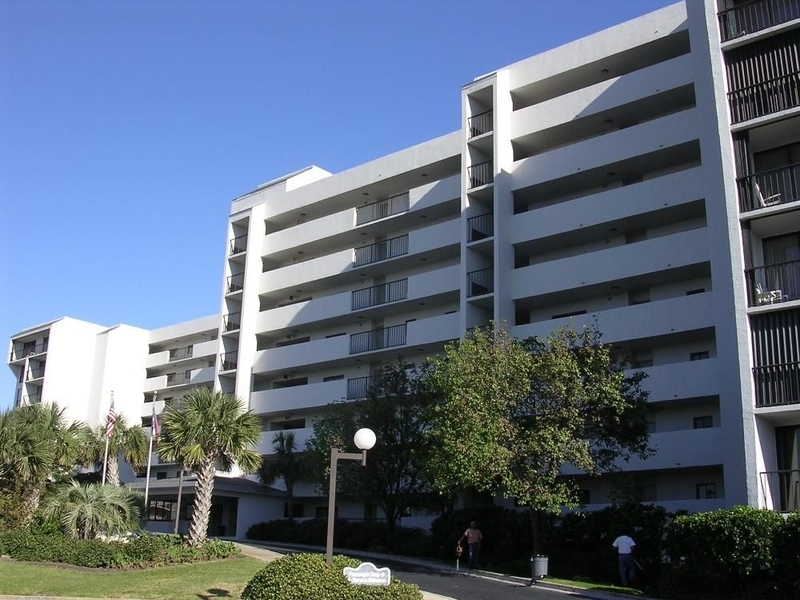 The Channel Walk town home at 126 Driftwood Court is a three bedroom, 2 bath waterfront unit with a well managed HOA, day dock, and easy walk to the nearby marinas, parks, and restaurants. 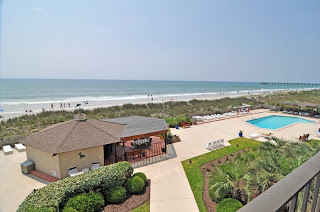 This tastefully updated three bedroom Channel Walk condo located soundfront just over the drawbridge on Wrightsville Beach, N.C. is being offered at an attractive asking price. The condo is move-in ready with features including wood flooring, contemporary interior doors, fresh paint, carpets and more. The property boasts bead board ceilings in multiple baths and a ceramic tile foyer entry. The well managed HOA at Channel Walk facilitates easy, low maintenance living. A common area landscaping package provides a peaceful, quiet environment filled with old growth native live oak, cedar and holly trees. 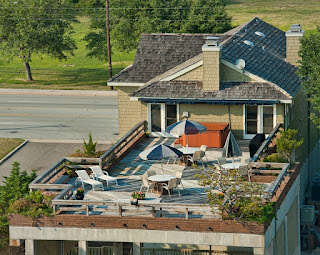 Channel Walk condo owners enjoy a community pool as well as a soundfront community pier for all season water access. 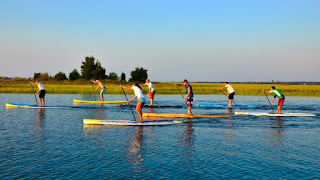 It is an easy walk to the dock for paddleboarding, kayaking, swimming, or fishing in the Lee's Cut no-wake zone. 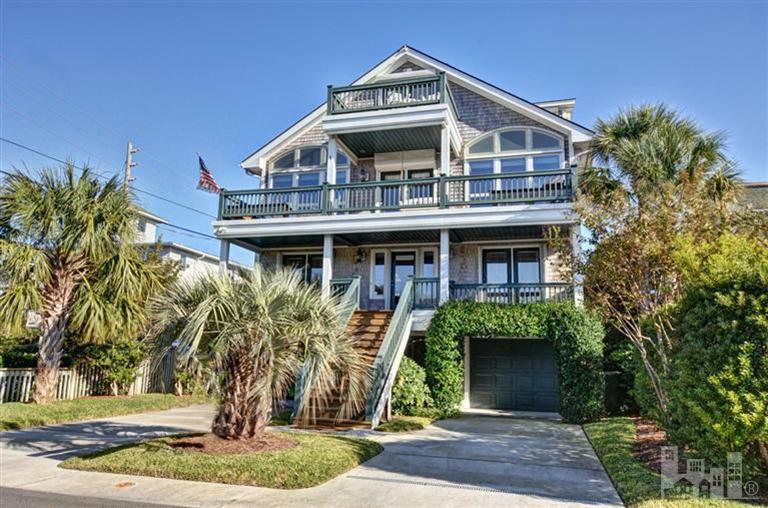 Hardee Hunt and Williams is a boutique firm dedicated to Wrightsville Beach real estate, representing both sellers and buyers in this southeastern North Carolina beach community as well as at nearby Landfall and Figure Eight Island. 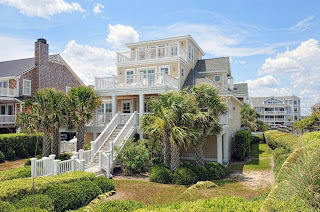 With extensive experience in real estate in this area as well as a long history of living an doing business here, the agents at Hardee Hunt and Williams have the knowledge, experience, and connections it takes to find the ideal match for Wrightsville Beach homes and condos. For more information about 126 Driftwood Court and the Channel Walk Condos on Wrightsville Beach, visit http://www.ChannelWalkCondos.com. 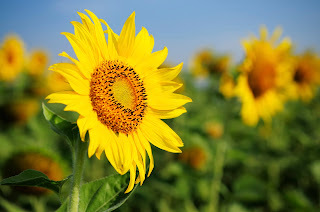 To learn more about Hardee Hunt and Williams, visit http://www.HardeeHuntandWilliams.com.